A Pinch of Salt, A Dash of Sass.Food Tourist Archives - A Pinch of Salt, A Dash of Sass. 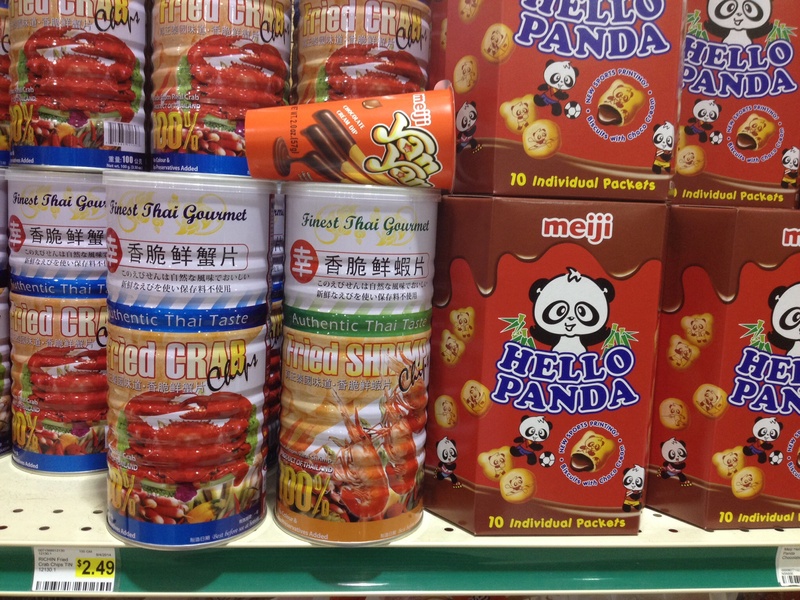 I found myself in the Asian district the other day, which worked out great for me because it meant I got to pop into the really big Asian supermarket. I wish I could say I were an expert on Asian cuisines and that I venture into the market to find specific amazing international ingredients for gourmet dishes, but the fact is, I’m a looky-loo. I know the Asian markets are a great source for inexpensive meats and nonstandard cuts, so I was there for a 2 pound hunk of pork belly with the skin on — but I always get derailed by the odd, the interesting, and the bargains. I AM ALL ABOUT THE BARGAINS. I ended up leaving the market with my rib-bone-in pork belly, a beef flank steak, a few neat plates for food pictures, some coconut milk and coconut cream, and some veggies. If you have an Asian market in your area, don’t be nervous to wander in — they probably have the freshest fish in town, amazing produce, and the lowest prices on meat and things you probably need in your pantry like soy sauce, teriyaki, noodles, tea, and other surprises. I can find soy for half price, and I got my coconut milk for $1 less a can than at the regular store. 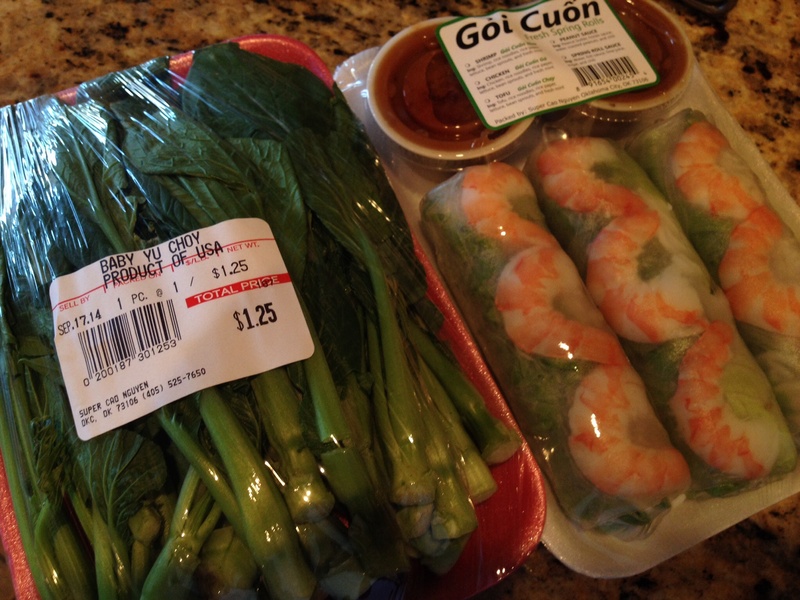 Vietnamese spring rolls (right) with shrimp, mint, carrots, cabbage and cellophane noodles with dipping sauce — one of my favorite healthy snacks. And, YU CHOY (left), which as I tell my friends whenever I cook it,is “my favorite of ALL the Choys!” Yu choy is related to bok choy, Shanghai bok choy, en choy, all those Choys (which you can probably all find at your local Asian grocer). It’s kind of peppery and almost like mustard greens, and it has these yummy little yellow flowers that are edible. For a great, illustrated, easy guide to Asian green veggies, check at Serious Eats. Or Santa in September — is he just early, or left over from last year? What’s up with this label? 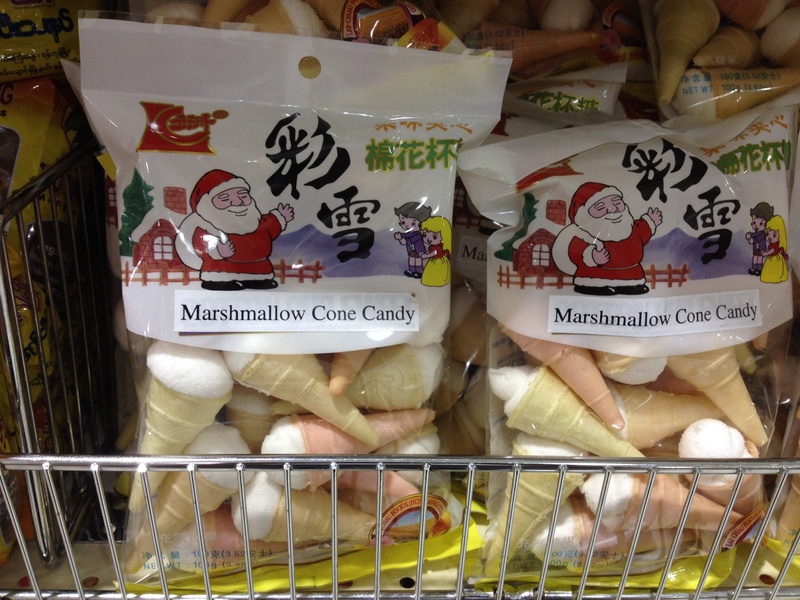 You just never know what you’ll find when you wander into any ethnic grocer, but the Asian market is always an adventure. I hope you will go explore! If you have gone already, what’s the craziest or neatest thing you’ve seen? Are you like me, taking crazy pictures of things you find?